Looks so elegant with perfect finishing. Glossy but durable because made of originally dried Teak wood. It painted with classic color so it accept in any moment and any places. It also furnished well, so that its durability is guarantee. 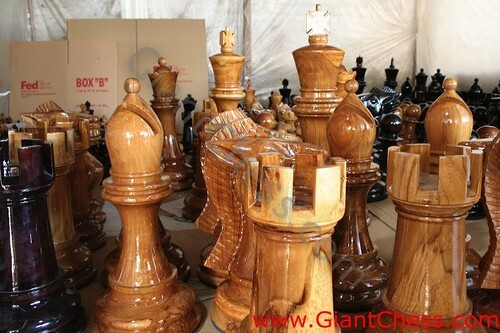 Many people, especially in western country are like to collect this kind of chess pieces.